Board Game Basics – Demystifying Magic: The Gathering — GamingWithSwag.com - Dads By Day, Gamers By Night. Getting into the world of board gaming can be a little daunting at times. There are a thousand different board games to choose from and lots of weird terms. Luckily there are a good amount of resources online to find a spot to start at and board gamers are generally a friendly lot anyway. However if you've been playing tabletop games for any length of time you've undoubtedly come across dark corners of this universe that may seem a little difficult to wrap your head around. Some sub-genres of tabletop gaming have their own little niche culture and can cultivate a fair amount of myths about barrier of entry. This article is the first in a three part series where I'll take you on deep dive into some of those areas that may be less explored by someone who's just getting into the hobby. We'll be taking a look at the collectible card game monolith that is Magic: The Gathering in part one. Part two will give a better understanding of the tale-spinning world of role playing games like Dungeons and Dragons. Finally we'll finish our journey by diving head first into to the blood drenched land of miniature war gaming like Warhammer 40k. If you're still with me after all that then brace yourselves, because it's time to talk about magnificent, and often maligned Magic:The Gathering. Magic: The Gathering is a vibrant, almost 25 year old card game of dueling wizards. This was the world's first collectible card game, meaning you got the cards from random booster packs rather then buying the whole game all at once. Magic also introduced a unique mechanic of allowing players to build their 60 card deck however they wanted as long as there are not more then four of any one card in the deck. While I won't explain the whole rules of the game the basics are as follows. Each player has 20 life and has to be the first to reduce their opponents to zero. Players alternate turns in which they can play a single land, use lands they've played to cast spells and summon creatures (better spells and bigger creatures generally requiring more lands to cast), and attacking their opponent with previously summoned creatures. Magic also has a very robust tournament scene with both large and small scale events taking place pretty much every weekend all around the world. However, if you aren't very competitive, that's fine too. The fact that you have to build your deck before playing has lead to to the rise of multiple different formats of magic, each one putting restrictions on how you can build your deck. 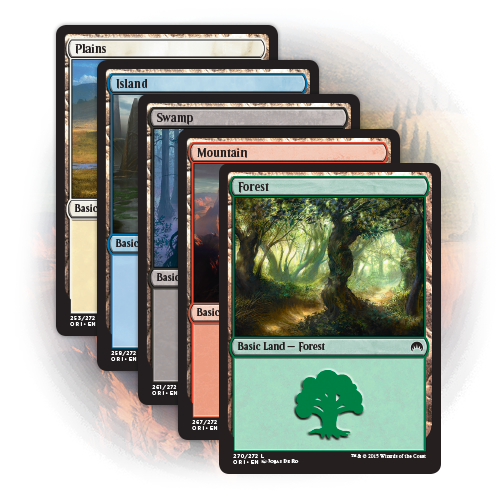 Many of these formats were specifically formed with either casual or competitive play in mind and range from only being able to use commons to elaborate lists of banned and restricted cards. OK, so why is it so great? Well there's a few reasons. As I was saying above, there are so many different variations on how you can play and such a giant pool of cards to play with that the game is still very fresh as you challenge yourself to make strategic and creative decks from your collection. The basic principles still apply, but the game can feel very different if you and your friends are playing with decks you've made after opening 6 booster packs as compared to playing with finely tuned decks containing 20 years of cards. 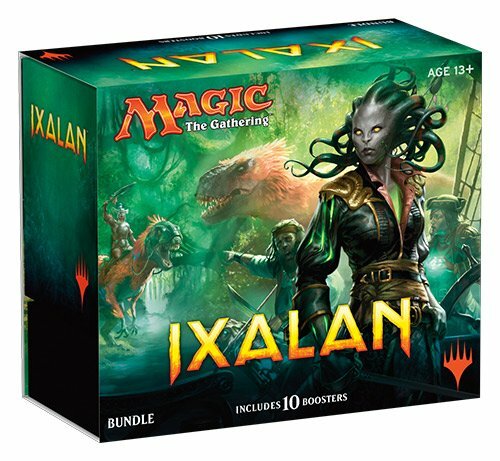 In addition, the game is still being supported and the design team at Wizards of the Coast (WotC) releases several new sets a year along with themed pre-made decks. Each set adds cards with new mechanics that change the way the game is played or breaks previously held rules, so there is always something fresh. Plus if you like to compete WotC also supports the game with large cash prize tournaments. That sounds good, but why are people hesitant to get into it? Unfortunately, the depth of the card pool is a double edged sword. It's great to have options but it's also easy to get overwhelmed. Related to this is the fact that people tend to mix the casual and competitive side of things. I've heard a lot of stories of gaming groups that start playing Magic, buying only a pack or two a week, having a great time, until one guy decides to drop $500 and build whatever deck won the last pro-tour. Now the rest of the group feels like they have to build a super competitive deck or just get crushed by their buddy every week. This generally won't happen if players just put some sort of limits on their group but many new players won't think of this. Speaking of competitive players, the tournament scene also has a bad reputation of being too cut-throat or unfriendly. The problem here is that a lot of people have trouble drawing the line between casual and competitive. It's OK to joke around and give your friends take backs when you're sitting around the kitchen table, but when you pay $20 - $60 to play in an event that pays out real prizes including large amounts of cash, people tend to be more serious. You can't go from flag football to the NFL and get mad because the players in the NFL are too serious. Not that there is anything wrong with just playing casually with friends, you just have to know what you want out of the game. If any of this piques your interest, I'd recommended starting with a duel deck. 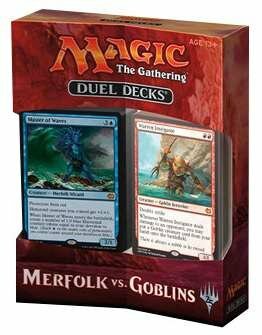 These are $25 box sets that contain the basic rules and 2 pre-made decks optimized to be played against each other. You can pick them up at Walmart, Target, or Amazon so they are easy to get and new ones come out each year. If you like the game after this I would look into having your group go one of two routes. The first thing you could do is start a sealed league. What this entails is starting everyone in the group with 6 sealed booster packs which players use to build a minimum 40 card decks. Each time the group meets to play, everyone gets to bring one pack to open and add to their pool. Trading within the league is also allowed. The other option is to play the commander format. 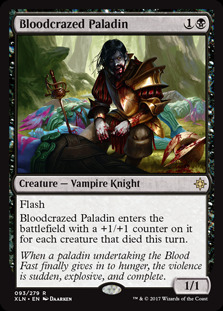 In this format every player has a special legendary creature that is always available to play called a commander. When constructing your deck it has to match the colors of it's commander, have no more then one of any card, and must be exactly 100 cards. The deck building restrictions lead toward a format that is easy to get into if you don't have a ton of cards. 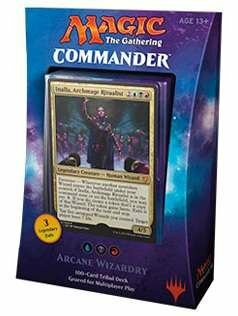 WotC also makes pretty good pre-constructed commander decks that sell for $35. I've been playing Magic almost since its inception, both around the kitchen table and in tournaments of all sizes. There isn't a variant or format that I haven't tried. The amount of money and time I've spent on the game is enormous. With all that said though, I'm still not tired of the game. Even though I'm a much more casual player then I used to be, I still love this game. If you've never played Magic it's at least worth checking it out. After almost 25 years the game is still going strong. The impact its had on the hobby is undeniable. I'm not saying you'll love it as much as I do, but there's a reason it's had such an incredible impact on the world of gaming.